Introduced in our Cruise 2019 presentation, this capacious duffle bag is crafted from smooth nappa leather in the new BV Club 19 workmanship. The graphic style features a central Intrecciato Checker panel flanked by solid intrecciato stripes. It is equipped with an interior zip pocket and two smartphone pockets. 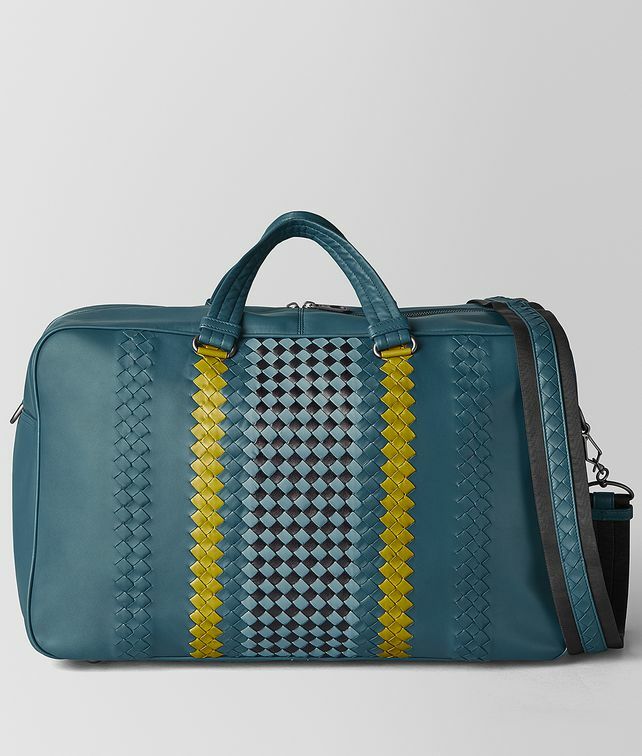 Finished with padded leather handles and a nylon shoulder strap detailed with hand-woven intrecciato. Depth: 24 cm |9.4 "